Hi everyone! 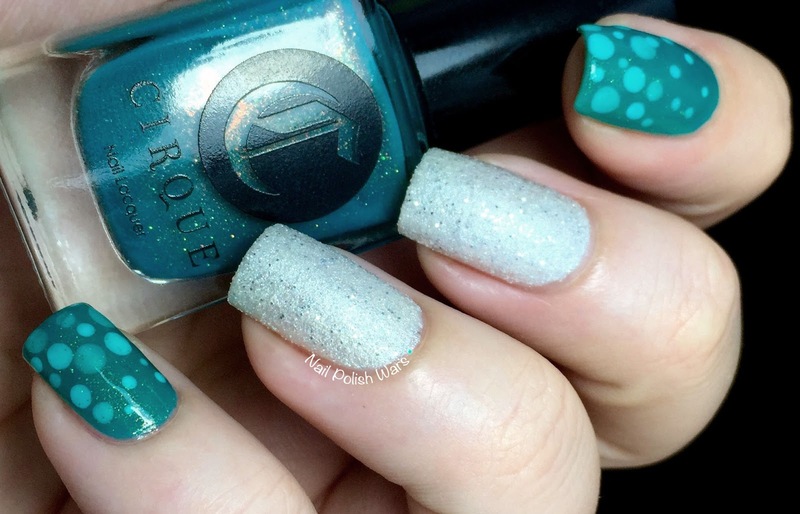 Since the weather has been a bit on the frigid side lately, I thought I'd finally do a pond mani! I started off with one coat of Cirque Colors Thicker Than Water on my index and pinky fingers, and two coats of OPI Solitaire on my middle and ring fingers. I used my dotting tools with Cirque Colors Carpe Diem and added some random dots. 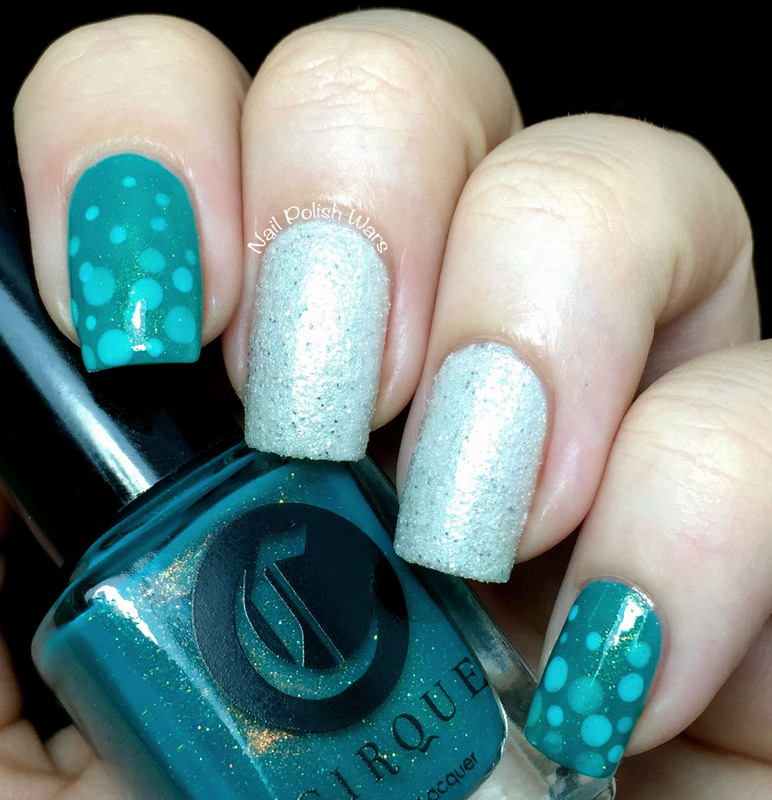 I applied another coat of Thicker Than Water, and then placed several more dots over it. I added one final coat of Thicker Than Water, and finished with one coat of SV. I love the pond look! The depth of the dots is so much fun to look at!